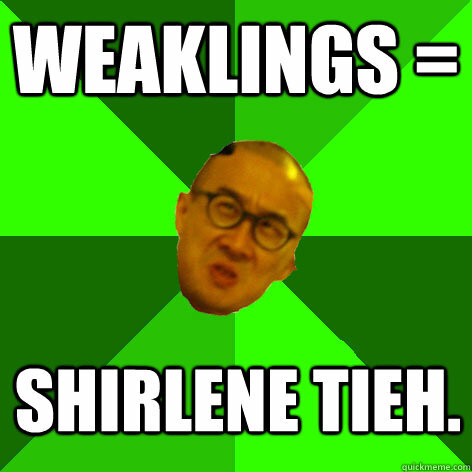 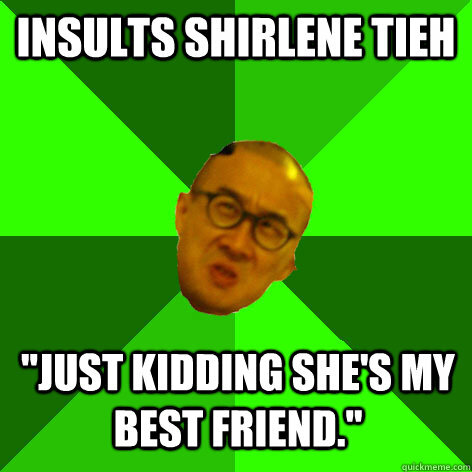 INSULTS Shirlene Tieh "JUST KIDDING SHE'S MY BEST FRIEND." 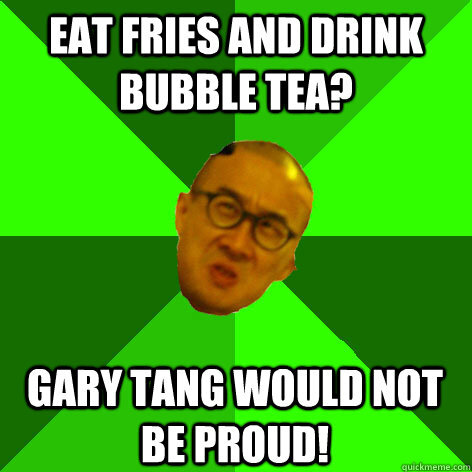 EAT FRIES AND DRINK BUBBLE TEA? 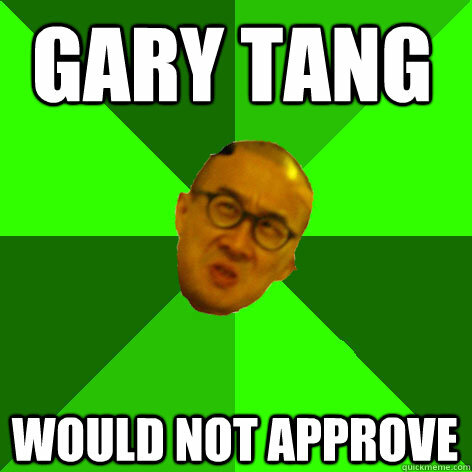 GARY TANG WOULD NOT BE PROUD! 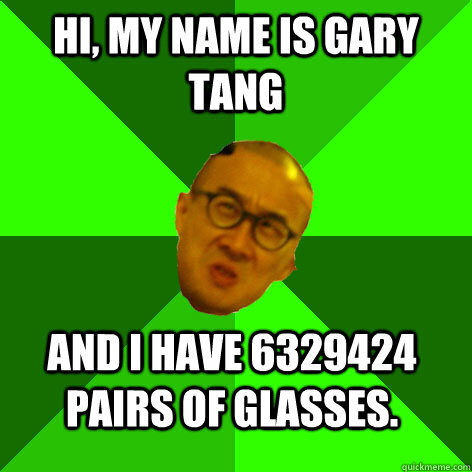 Hi, my name is Gary tang and I have 6329424 pairs of glasses. 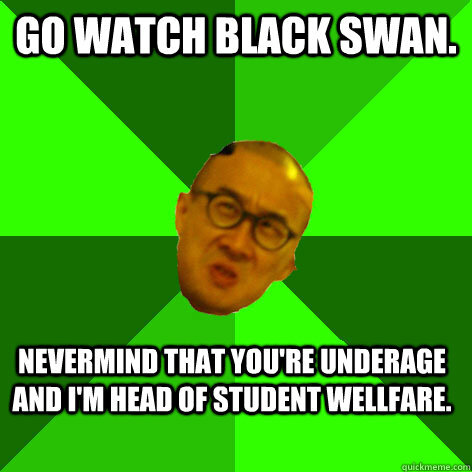 Go watch black swan. 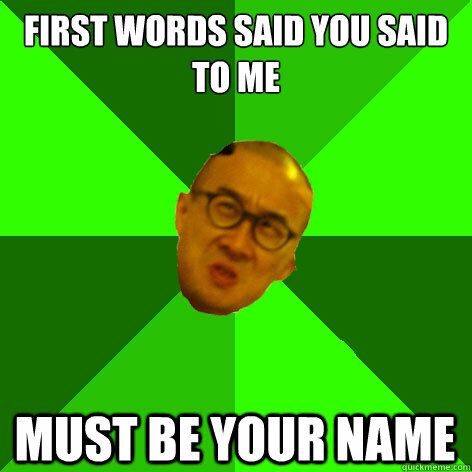 Nevermind that you're underage and I'm head of student wellfare. 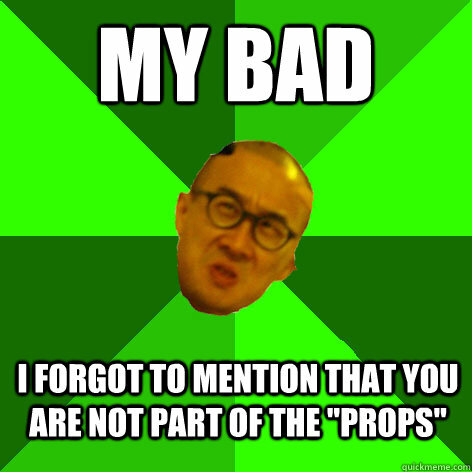 my bad i forgot to mention that you are not part of the "props"